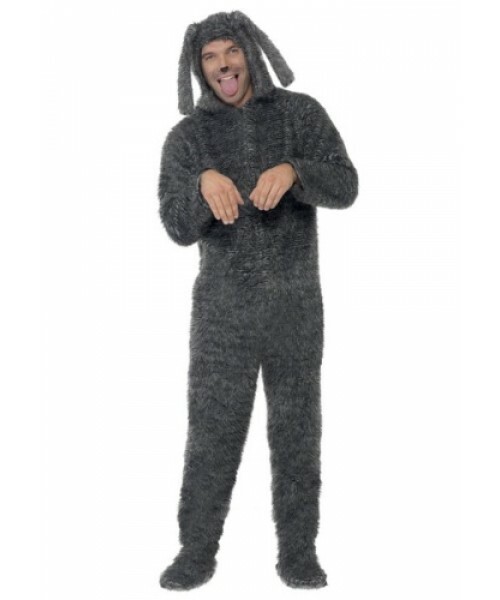 Practice your puppy dog eyes and when you wear this plus size fluffy dog costume you'll be guaranteed to get a treat! Have you ever seen a tennis ball bouncing across the park and you suddenly had the urge to just chase after it? Have you ever passed a fire hydrant and thought, "Hey, I kind of have to use the bathroom." Have you ever had the urge to yell and bunny rabbits as you sprint across the yard chasing after them? It's about time you let the dogs out! And by that, we mean that you put this plus size dog costume on and act like a dog for a few hours. You could also put on the song, but that's completely optional!